Happy Friday, Girls!! 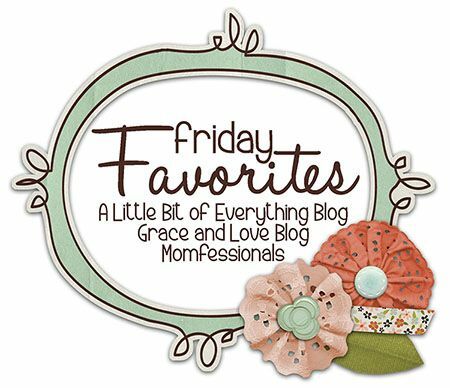 I'm teaming up with my girls, Andrea and Narci for our Friday's Favorites Link-Up. You should join us! Today, I'm sharing one of my very FAVORITE moments that happened this week. Ebby Lee met her kindergarten teacher!! I used to teach third grade so I had some expectations. But...they definitely surpassed them! I had so many little worries and meeting the teacher, seeing the classroom, and checking out the rest of the school gave me so much peace! She is going to rock kindergarten!! She had directions on her desk, so we quickly got right down to business. We put away her supplies, checked out her cubby, and place on the carpet....things like that. Ebby Lee was SO excited!! I know she'll be nervous on Monday, but once she gets to know some kiddos in her class it'll be great. Sorry about my weird face....but doesn't this classroom just look cozy?? It was SO CUTE! I'm going to miss this girl like CRAZY during the day, but I'm so excited about getting to experience this new adventure with her! My prediction....Tab is going to cry like a baby on Monday. :) We'll be a mess! haha! Look who we saw in the parking lot!! These girls both looked WAY more confident at the end of the night than they were at the beginning...hahaha! They're going to have a great year in kindergarten!! XOXO She is going to have a great time! Sweet post, mama! Love the pics! Do you think being a former teacher makes it harder to send your babies off to school?? I taught K, 1st and 4th and think I'm going to be analyzing every little think when the time comes for little man to start school! I love, love, love their little Kindergarten Pod. Cozy is the perfect word to describe it! Our two girls are going to ROCK kindergarten!! Kindergarten is such a precious time. Our year went by so quickly and now we're heading into 1st grade. Hold on tight and enjoy it all! Such a precious sight! I remember when mine was in K. Found you at the link up at Andrea's. Thanks for co hosting. Have a great Friday! Love this post!! So sweet! And did Tab take all the pics!?! Awesome job!! LOL The classroom is so fun and inviting! Good Luck Ebby Lee!! Her outfit is to die for!! So so cute!!! I can't imagine the whole kindergarten thing….I'm dropping my oldest off to preschool for the first time next week..and I've been sick about that this whole week. But yay for new steps with happy healthy kids! Good luck with that first day of school on Monday! Bring lots of tissues. :) My big boy is heading off to his first day of college that day. It never gets easier!